The Babuyan Islands (/bɑːbəˈjɑːn/ bah-bə-YAHN), also known as the Babuyan Group of Islands, is an archipelago in the Philippines, located in the Luzon Strait north of the main island of Luzon. The archipelago consists of five major islands and their surrounding smaller islands. These main islands are, counterclockwise starting from northeast, Babuyan, Calayan, Dalupiri, Fuga, and Camiguin. The Babuyan Islands are separated from Luzon by the Babuyan Channel, and from the province of Batanes to the north by the Balintang Channel. The archipelago, comprising 24 volcanic-coralline islands, has a total area of about 596 square kilometres (230 sq mi). The largest of these is Calayan with an area of 196 square kilometres (76 sq mi), while the highest peak in the island group is Mount Pangasun (1,108 metres, 3,635 ft) on Babuyan Claro. 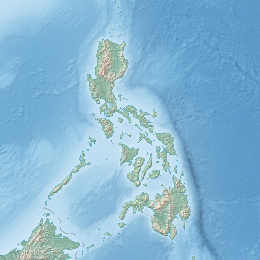 The eastern islands of the archipelago are part of the Luzon Volcanic Arc. Three volcanoes from two of the islands have erupted in historical times - Camiguin de Babuyanes on Camiguin Island, Babuyan Claro Volcano and Smith Volcano (also known as Mount Babuyan) on Babuyan Island. 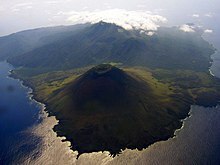 Another small volcanic island located just 22 km (14 mi) NE of Camiguin Island, Didicas Volcano on Didicas Island, became a permanent island only during the activity of 1952. All of the islands within the island group are classified by Haribon Foundation and BirdLife International as key biodiversity areas, or sites with outstanding universal value due to its geographic and biologic importance. All of the islands within the island group have never been part of any large landmass, and thus have unique flora and fauna, most of which are found nowhere else. A research conducted by the Department of Environment and Natural Resources have found at least 5 faunal regions in the area, one of the highest density of separate faunal regions in the world. The islands is also home to the most critically endangered bird species in the Philippines, the Calayan rail (found only on the small island of Calayan), and the most critically endangered snake species in the Philippines, the Ross' wolf snake (found only on the small island of Dalupiri). The island group is also a congregation site for endangered humpback whales, one of the only few of its kind in Southeast Asia. Due to its immense value to the natural world and Philippine biological diversity, various scientific and conservation groups have been lobbying for its declaration as a national park and its inclusion in the UNESCO World Heritage List. Humpback Whales have re-colonized into the area and the Babuyan became the only wintering ground for the species in the Philippines although historical records among Babuyan Islands have not been confirmed. The origins of the Babuyan people date back to some 60,000+ years ago when Negrito tribes inhabited the islands, later Austonesians migrated to the islands. In the late 1580s large groups Filipinos fled the mainland when Spain began to invade the Philippines. The small islands now have a mixture of different ethnic groups. Since the early 1800s people from Hawaii, Samoa, Tonga and even Japan have settled on the group of islands. While the native people are considered Filipino they are an ethnic mix of the people from Samoa, Hawaii, Japan and Tonga that now call the islands home. Some Babuyan people are majority polytheistic and believe in multiple gods, others practice Hinduism. In the 1940s American soldiers introduced the native people to the Christian religion and now 30% of the natives are Christian. The whole archipelago is administered under the province of Cagayan with Babuyan, Calayan, Camiguin, and Dalupiri comprising the municipality of Calayan while Fuga is under the municipality of Aparri. Babuyan and Dalupiri are themselves individual barangays in Calayan municipality, respectively named Babuyan Claro and Dalupiri, while Fuga Island is also an individual barangay, also named Fuga Island, in Aparri. ^ a b "Babuyan Islands - island group, Philippines". www.britannica.com. Encyclopedia Britannica. Retrieved 18 April 2018. ^ Census of Population (2015). "Region II (Cagayan Valley)". Total Population by Province, City, Municipality and Barangay. PSA. Retrieved 20 June 2016. ^ a b Genevieve Broad; Carl Oliveros. "Biodiversity and conservation priority setting in the Babuyan Islands, Philippines" (PDF). The Technical Journal of Philippine Ecosystems and Natural Resources 15 (1&2): 1-30. Retrieved 18 April 2018. ^ "Camiguin de Babuyanes". Global Volcanism Program. Retrieved on 2013-04-01. ^ "Babuyan Claro". Global Volcanism Program. Retrieved on 2013-04-01. ^ "Didicas". Global Volcanism Program. Retrieved on 2013-04-01. ^ "Calayan". Official Website of the Provincial Government of Cagayan. Retrieved on 2013-04-01. ^ "Aparri". Official Website of the Provincial Government of Cagayan. Retrieved on 2013-04-01.